Nuclear waste is separated into 2 broad classifications, low-level and high level radioactive waste. The amount of radiation does not determine the placement of the waste in its respective category, but rather it is sorted depending of the type of radioactive isotopes within the material. So-called low-level waste can be highly radioactive and may not be low-level, even when it is so named. Low-level waste comes from medical, academic, industrial processes as well as the highly radioactive contaminated parts from within atomic power reactors whereas high-level waste is only the spent atomic fuel from nuclear reactors. Low-level waste is buried in arid regions such as Utah and West Texas, where the radioactivity can be carried in dust, and it is also buried in rainy locations like South Carolina and upstate New York, where it can migrate in abundant groundwater. In general, the half-lives of these isotopes are less than 100 years, which means that the radioactivity itself will not completely decay away until 1,000 years (10 half-lives). High-level waste (spent nuclear fuel) contains radioactive materials such as Plutonium 239, and its half-live is more than 22,000 years. Since it takes at least 10 half-lives for the plutonium to completely decay and become harmless, high-level waste must be stored for at least 200,000 years. Once the uranium fuel has reached the end of its life cycle, it is removed from the nuclear reactor and placed in a spent fuel pool on site. This is just a temporary storage solution because the older slightly decayed fuel will be removed to make room for the new radioactively hot fuel. After being stored for a number of years, between five to ten years, the spent fuel is usually transferred to dry cask storage. Dry cask storage involves storing the spent fuel bundles in a stainless steel canister that is then surrounded by concrete. There are no long-term solutions for storing nuclear waste. Some industry groups claim that dry cask storage can store the fuel for at least 100-years, but the cask manufacturers only guarantee for 10-years, and the best guess is that any time after 30-years, the extreme radiation and the others chemicals within the casks will cause the containers to deteriorate and leak. Spent fuel remains dangerously radioactive for more than 200,000 years and greater than 2,000 metric tons of this toxic highly radioactive spent fuel are produced each year in the U.S. alone. A total of 76,430 metric tons of spent nuclear fuel has been produced in the United States since the nuclear program began. This raises the enormous questions, why are we still creating this waste if we don't know how to safely store it, and what do we do with the current mountain of radioactive waste that will be around for as long as, if not longer than the modern human species has existed? 1. The initial decision to place high-level waste at Yucca was a political decision, not a scientific one. 2. First, the property does not belong to the U.S. government and breaks the treaty with the Shoshone people because it is on Shoshone Tribal land. 4. The project has already cost taxpayers $15 billion and it is anticipated that it will cost at least $96 billion, yet due to the technical flaws it is impossible to guarantee that no nuclear radiation will escape. 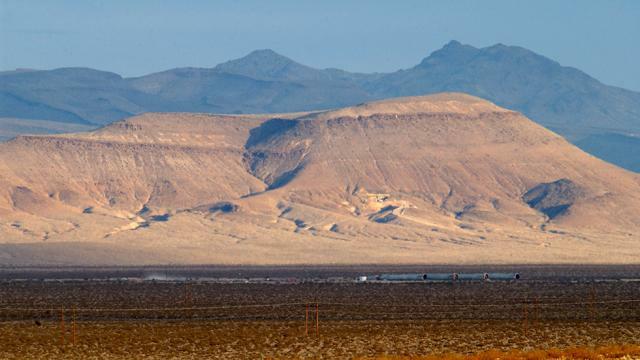 The problems with the proposed Yucca underground storage are many: the threat of earthquakes and groundwater infiltration, meaning this toxic waste is not secure and could contaminate the surrounding areas, and even a great portion of the Southwest corner of the U.S., if there an earthquake. Moreover, infiltrating groundwater would carry that radioactivity anywhere it moved, and as it moves to the land surface, it would blow in the wind as fine-dust filled with radioactively-hot particles. Radiation Knows No Borders, as the STOTEN (Science for the Total Environment) peer-reviewed journal article shows, radioactively hot particles will migrate where they will in groundwater, wind, rain, and snow melt – wherever weather patterns take them. The safest thing to do is to stop producing such dangerous material in the first place. And, given the huge gains for sustainable/renewable sources of producing electricity and new technological methods of storing electricity, like solar, wind, geothermal, wave-action, new battery storage systems, and distributed grids, there really is no excuse to continue to use nuclear power. The cost of atomic power reactors is out of sight and investing them will preclude growth in job creating, profitable, and less environmentally destructive solutions that do not require secure storage for at least 200,000 years. Can you imagine safe, secure storage for more than 200,000 years? Even with all of our nuclear engineering expertise and work with atomic power experts, radiochemists, and environmental scientists all over the world, none of us at Fairewinds Energy Education or our scientific colleagues, even those in the atomic power industry, can conceive that nuclear power production is a viable solution for any of the world’s future energy needs.